The core Counter-Strike game modes featured throughout most games. 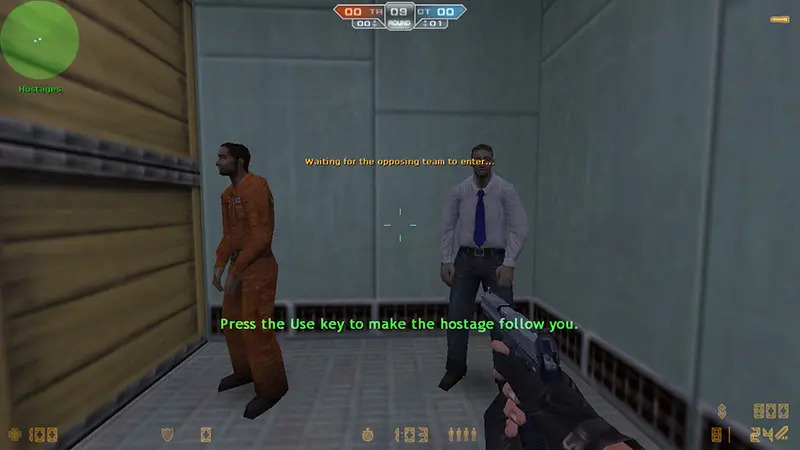 Respective objectives are assigned to both Terrorists and Counter-Terrorists and either one side must complete them before the timer runs out. At the start of every round, players are given a short time to purchase weapons and equipments before it begins. Players killed remain dead until the next round begins. The room host is able to implement gameplay restrictions, such as knife-only battles, no grenades allowed, sniper battles, and so forth. TERRORISTS: Detonate a specific bomb site (A or B) with the C4 explosive or kill all Counter-Terrorists. COUNTER-TERRORISTS: Defuse the C4 (if planted), kill all Terrorists or run down the timer. 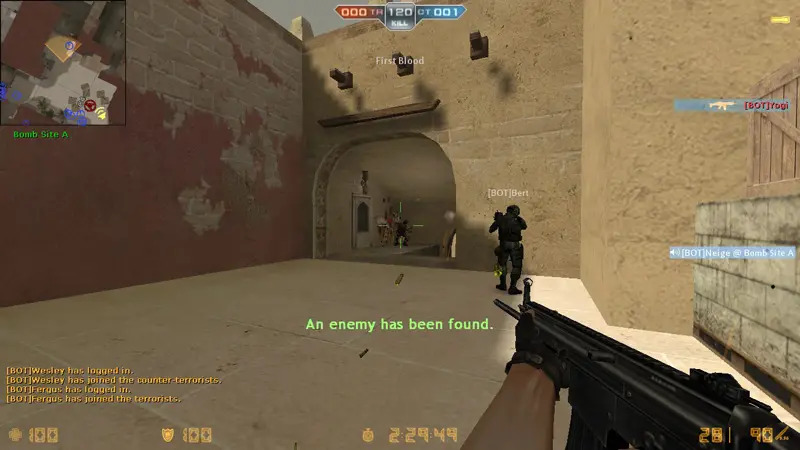 TERRORISTS: Successfully kill the all Counter-Terrorists or run down the timer. COUNTER-TERRORISTS: Rescue all hostages or kill all Terrorists. TERRORISTS: Successfully kill the VIP or run down the timer. COUNTER-TERRORISTS: Kill all Terrorists or successfully secure the VIP’s escape. The objective is straightforward; kill the opposing team members. The winning team is determined once their score is higher than the opponent’s or they reach the kill limit first. Players killed respawn after several seconds. Free-for-all. The player who manages to reach the kill limit first or has the highest kill limit once the timer runs out wins. Based on the Team Deathmatch game mechanic, players “level up” by killing 4 enemies with a weapon. By leveling up, a new weapon is provided. The player who manages to kill with a High Explosive (HE) grenade wins for the team. Buy menu based on configurable (3) loadouts (primary, secondary, melee and equipment). Every player carries 2 High Explosive (HE) grenades. All weapons’ recoil are heavily reduced.